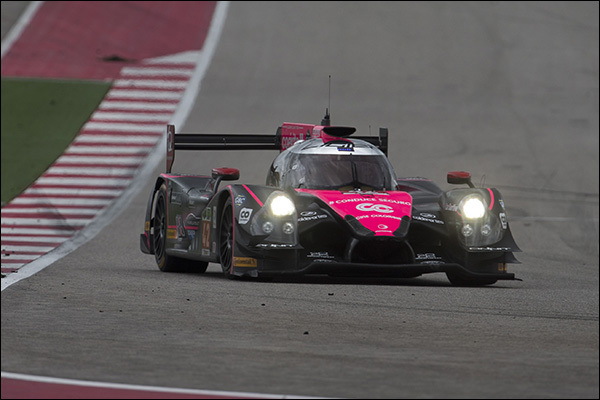 Whilst Oak Racing’s policy of not going head to head with their Onroak customers is set to see the team exiting the Tudor Championship for 2015 (with both Michael Shank Racing and Krohn Racing currently looking set to feature in the longer NAEC races) there could still be a black and pink Ligier on the full season FIA WEC entry. As disclosed to DSC at Le Mans this year Jacques Nicolet still harbours a plan to bring a full season car to the track next season with an all-gentleman crew. Nicolet himself would drive, and a post Bahrain airport chat with Mark Patterson revealed that the affable South African/ American is considering joining the effort. The final piece in the jigsaw is a third man, one that shares the same sunny outlook of the first two and with a similar level of external pressures driving the time available at the circuits. The change since the plans initially emerged is that the car would now seek a full season FIA WEC entry rather than a ‘mix and match’ selection of races worldwide.